Bernardino Gamboa was born in Mexico circa 1850. He immigrated to the United States in 1873 and married Gomecinda Hinojos circa 1875. She was born in Mexico circa 1857 and immigrated to the United States in 1870. By 1880 the couple and their first two children were living in the Comanche Springs area of Pecos County, where Bernardino was working as a laborer. They were still in Pecos County in 1900, now with nine children; Bernardino was working as a farm laborer. 2. Son Anastacio Gamboa was born circa 1880 in Texas. In 1900 he was living in Pecos County, probably the Fort Stockton area, with his parents and was working as a farm laborer. Circa 1905 he married Victoria Baeza. She was born in Mexico in 1888, the daughter of Marcelo Baeza and Luciana Ramirez. Anastacio and Victoria initially lived in the Terlingua area, but in 1910 moved to San Vicente. Anastacio went to fight against the Villastas in the Mexican Revolution and was killed in Mexico. He is buried in San Carlos, Chihuahua, Mexico. After Anastacio’s death, Victoria married Felix Dominguez. A. Son Dionicio "Nicho" Gamboa was born on October 9th, 1906, probably in Terlingua. He was baptized in Terlingua on January 13th, 1907 by Father Brocardus. His godparents were Felicito Dominguez and Francisca Baeza. Dionicio married Isidra Bustamante and they had nine children. (1) Son Adan B. Gamboa was living in Fort Stockton in 2009. (2) Son Esteban Gamboa was living in Fort Stockton in 2009.
a. Son David Gamboa was born July 17, 1959 in Fort Stockton. b. Son Hector Gamboa was born February 15, 1962 in Fort Stockton. 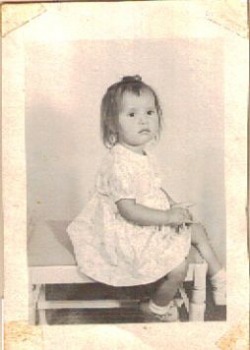 c. Daughter Norma Gamboa was born August 27, 1965 in Fort Stockton. Her married name is Sandoval. e. Son Eloy Gamboa was born April 8, 1970 in Brazoria County, Texas. f. Son Jesus Gamboa was born prematurely in Fort Stockton September 21, 1972 and died there the same day. He is buried in St. Joseph’s Catholic Cemetery in Fort Stockton. g. Daughter Linda Gamboa. Her married name is Rahe. h. Daughter Esmeralda Gamboa. Her married name is Olvera. i. Daughter Martha Gamboa. Her married name is Rodriguez. a. Son Aucencio “Chencho” Gamboa Jr. He committed suicide, but the date and other details are not available. b. Daughter Delma Gamboa married Victor Castaneda. c. Daughter Alma Gamboa was living in Midland in 2010. He married name is Almunia. d. Son Mondie Gamboa married Karrie Sue Gamboa. (5) Daughter Timotea Gamboa was living in Lake Jackson, Texas in 2009. Her married name is Contreras. (6) Daughter Santiaga Gamboa was living in Houston, Texas in 2009. Her married name is Benavides. (7) Daughter Apolonia Gamboa was living in Freeport, Texas in 2009. (8) Son Dulcesnombre Gamboa was deceased by April 2010. (9) Daughter Anita Gamboa was deceased by April 2010. (1) Daughter Rosa Gamboa (#1) was born on August 3rd, 1937 in Texas. She died on August 12th, 1937 in Marathon and was buried in the Marathon Cemetery by her father. a. Daughter Alma Gamboa. In 2010 she was living in Odessa. Her married name is Gomez. a. Daughter Carolina Gamboa. She married George McDowell and they had two children. Carolina later married Luis Tijerina, an Indian Chief. In 2010 they were living in Odessa. b. Son Robert Gamboa, Jr. was living in Fort Stockton in 2010. Roberto Gamboa’s second wife was Estella Benea (see Photos sub-page). The third wife is Eida Morua, who was born in Mexico. In 2010 they were living in Coyanosa, Texas. There were no children by the second or third marriages. a. Daughter Betsy Peticolas. In 2010 she was living in Austin, Texas. c. Daughter Rachel Castaneda was living in Phoenix, Arizona in 2010. Her married name is Camacho. d. Daughter Paula Castaneda was living in San Antonio, Texas in 2010. Her married name is Tate. (6) Son Francisco Gamboa was born in Fort Stockton circa 1947. He died shortly after birth. bb. Son Oscar Lane Rodriguez. (9) Adopted daughter Corina Gamboa, the first child of Maria Victoria Gamboa, was born September 8, 1960 in Fort Stockton. She was adopted as a baby by her grandparents and raised by them. Her married name is Pando and in 2010 she was living in Pecos, Texas, where she was working as a mail carrier. (10) Son Ismael “Smiley” Gamboa was born November 27, 1960 in Pecos, Texas. He never married. He worked as a peace officer for the Pecos Police Department for several years, then as a truck driver in Midland. C. Son Manuel Gamboa. His wife’s name is Blasita. Manuel suffered serious injuries from being drug by a horse and died shortly afterward. Manuel and Blasita had ten children. (1) Son Manuel “Manuelito” Gamboa. (6) Daughter Hilda Gamboa was living in Kansas in 2010. (7) Daughter Luciana Gamboa was living in Fort Stockton in 2010. Her married name is Velasquez. (8) Daughter Maria Gamboa was living in San Angelo, Texas in 2010. Her married name is McGinnis. (9) Son Jesus Gamboa was living in Fort Stockton in 2010. His wife’s name is Carolina. (1) Daughter Rosa Elva Gamboa. Her married name is Gonzales and in December 2005 she was living in Fort Stockton. (2) Daughter Petra Gamboa. Her married name is Rosas and in December 2005 she was living in Fort Stockton. (3) Daughter Aurora Gamboa. Her married name is Porras and in December 2005 she was living in Grandfalls, Texas. After the death of Anastacio Gamboa, Victoria married Felix Dominguez. He died in Ojinaga. She died May 3rd, 1981 and is buried in Fort Stockton. A. Son Pilar Dominguez was born October 11, 1926. He was a resident of Fort Stockton from 1950 to 1973 and worked as a laborer in the construction business. He died May 19, 1973 of gunshot wounds to the head and chest while he and his nephew Aucencio “Chencho” Gamboa were playing cards in the El Rancho Grande Bar, about ¼ mile south of Fort Stockton. Chencho was killed at the same time. Chencho’s brother Pablo avenged the death by killing the assailant a few days later. Pilar is buried in St. Joseph’s Catholic Cemetery in Fort Stockton. (1) Son Eloy Ramirez Dominguez was born February 7, 1960 in Fort Stockton. (2) Son Ramon Ramirez Dominguez was born May 27, 1964 in Fort Stockton. (1) Son Reyna Dominguez was born in Fort Stockton November 15, 1959. D. Daughter Ignacia Dominguez. She married Epifanio Galindo and in 2010 they were living in Kermit, Texas. 3. Son Salome Gamboa was born in Texas circa 1887. He was living with his parents in San Vicente in 1910. 4. Daughter Adelaida Gamboa was born circa 1890 in Texas and in 1900 was living with her parents in the Fort Stockton area. She married Eustolio Rivera. They were godparents to Canuta Salas, who was baptized in San Vicente on May 28th, 1905. Canuta was the daughter of Cornelia Gamboa (Adelaida’s sister) and Dionicio Salas. Adelaida and Eustolio had two children: A. Son Antonio Rivera was born on July 19, 1906, probably in San Vicente. He was baptized in San Vicente by Father Brocardus on February 24, 1907. His godparents were Jesus Marufo and Concha Hernandez. B. Daughter Sixta Rivera was born March 20, 1911 in San Vicente. Her married name was Alvarez and in January 1967 she was living in Ozona, Texas. 5. Daughter Guadalupe Gamboa was born circa 1892 in Texas. In 1900 she was living with her parents in the Fort Stockton area. 6. 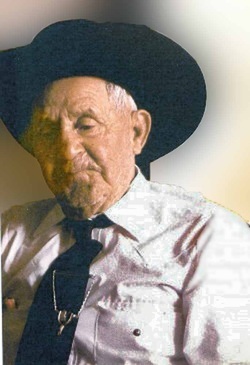 Son Juan Gamboa was born February 8, 1893 in Fort Stockton and was living there with his parents in 1900. He moved with his family to San Vicente, Texas and 1910 he was working as a laborer on a farm. He married Gabriela Morin April 30, 1919 and they made their home in San Vicente, Mexico. By 1942 Juan had returned to San Vicente, Texas and soon afterward he moved to Midland. He died in Midland April 22, 1983. B. Daughter Benina Gamboa. She died in La Union, Mexico February 8, 1986. D. Daughter Maria de Jesus Gamboa. She is deceased. H. Son Anastacio Gamboa. He died in Acuña, Mexico. 7. Son Julian Gamboa was born circa 1895 in Texas. In 1910 he was living in San Vicente with his parents. In 1910 he was working as a ranch hand. 8. Daughter Eufracia Gamboa was born on March 13th, 1896, probably in Fort Stockton. She was baptized in Fort Stockton by Father Brocardus on October 2nd, 1899. Her godparents were Pedro Loza and Encarnacion de Loza. · Margarito Gamboa obituary, Fort Stockton Pioneer, December 8, 2005. · Sulema Gamboa Carrasco family research. · Louisa Franco Madrid family research. · Isidra Bustamante Gamboa obituary, Fort Stockton Pioneer.